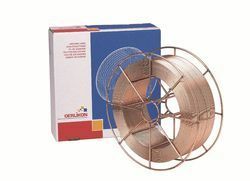 Pioneers in the industry, we offer Corthal Welding Wire and Fluxofil Cored Wire from India. 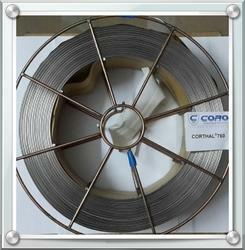 Corthal Welding Wire is a gas-shielded flux-cored wire electrode for high-pressure resistant hard facings. The materialistic deposit with additional niobium carbides has also a good resistance against abrasive wear. Applicable in cement crusher rolls, pulverize rolls, hammers. We provide Fluxofil Cored Wire and hard facing wire. This is used in cement industry for welding purpose.